These cello/electronics pieces by Garrett Johnson (+++) are divorced from the visuals of the dance duet Tired Hearts Kick Darkness and Bleed Light, composed of Britta Joy Peterson (direction/choreography/dance) and Juan Rodriguez (choreography/dance). As such, it is up to us to imagine the movement of the dancers, which, perhaps surprisingly and definitely “spectrally,” are captured by +++ in a squiggling array of active sound. I highly recommend you read Johnson’s essay on the release’s Bandcamp page, which muses on everything from the role of technology in preserving art to happy/unhappy accidents affecting this very performance. 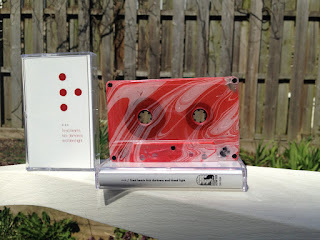 But beyond the connection of these sounds to those (unseen by us tape holders) movements, “Tired Hearts Kick Darkness and Bleed Light” is a sonic treat, a passionate radiation of a time and a moment beyond the confines of the past. Everything is recorded these days, everything is preserved. Perspective is a tornado of possibilities. 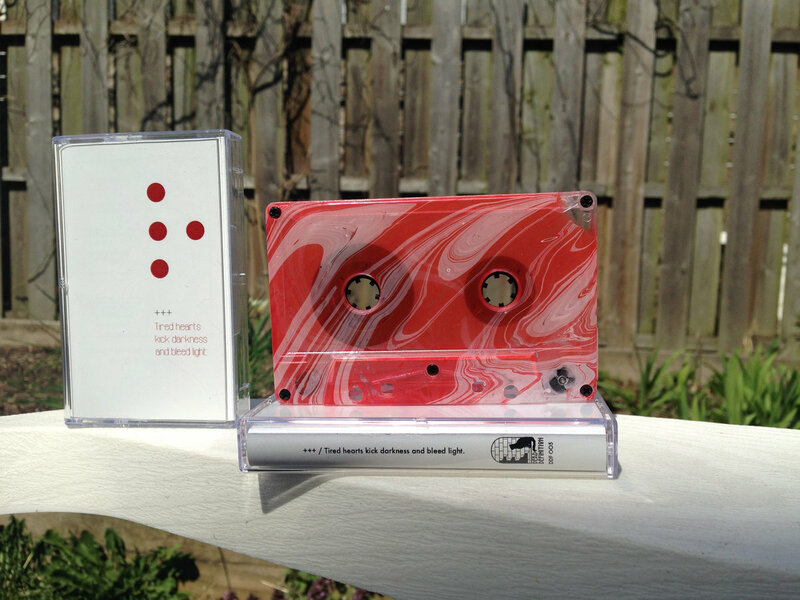 Also, this marbled tape is absolutely gorgeous to behold.